ONE OWNER!! - PREMIUM!! - DRIVER ASSIST!! - COLD WEATHER PACK!! - NAV!! - REAR CAMERA!! This BMW includes: COLD WEATHER PACKAGE Heated Rear Seat(s) Heated Steering Wheel Heated Front Seat(s) HEATED FRONT SEATS Heated Front Seat(s) PARK DISTANCE CONTROL Rear Parking Aid BLACK, DAKOTA LEATHER UPHOLSTERY Leather Seats DARK GRAPHITE METALLIC PREMIUM PACKAGE HD Radio Hands-Free Liftgate Satellite Radio Power Door Locks Keyless Entry Remote Trunk Release DRIVER ASSISTANCE PACKAGE Rear Parking Aid Back-Up Camera Heads-Up Display *Note - For third party subscriptions or services, please contact the dealer for more information. * When you purchase a vehicle with the CARFAX Buyback Guarantee, you're getting what you paid for. 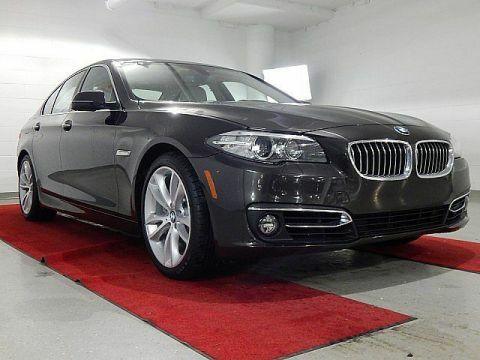 This vehicle has met or exceed our standards of excellence and is being sold as a Certified Pre-owned BMW 535i xDrive. You deserve a vehicle designed for higher expectations. 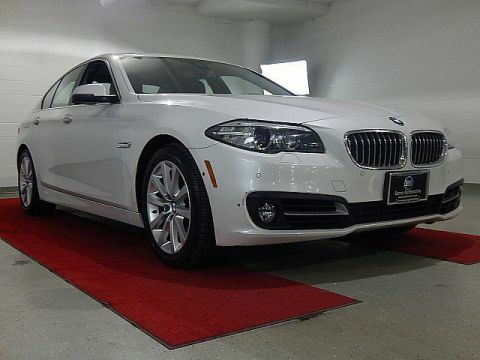 This BMW 535i xDrive delivers with a luxurious, well-appointed interior and world-class engineering. Enjoy safety and stability with this all-wheel drive vehicle and drive with confidence in any condition. A BMW with as few miles as this one is a rare find. This 535i xDrive - PREMIUM!! - DRIVER ASSIST!! - COLD WEATHER PACK!! - NAV!! - REAR CAMERA!! was gently driven and it shows. 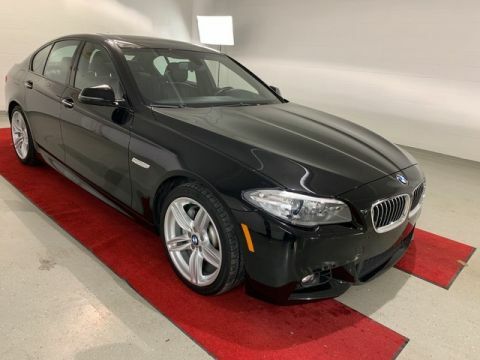 Marked by excellent quality and features with unmistakable refined leather interior that added value and class to the BMW 535i xDrive Left your phone at the restaurant? No problem. 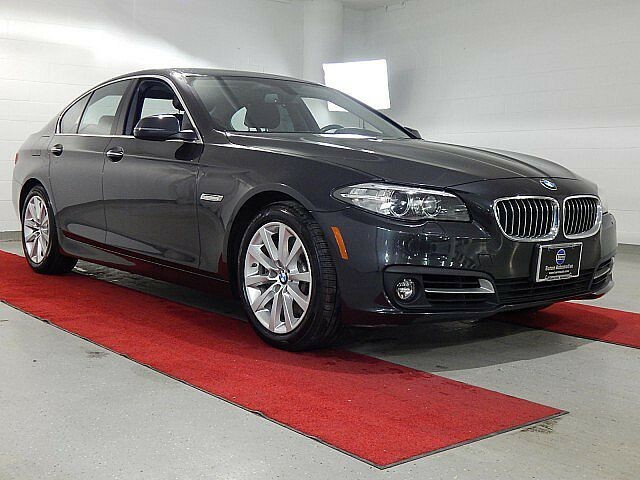 With the navigation system on this BMW 535i xDrive, you'll be able to quickly find your way back to get it. 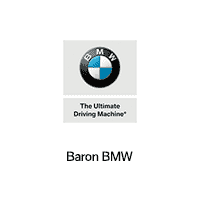 More information about the 2016 BMW 535i xDrive: The BMW 5-Series stands out as a traditional luxury sport sedan that not only offers strong, uncompromised performance but also some leading-edge safety and connectivity technology. Increasingly, the 5-Series has an advantage over most of its rivals in that it offers more fuel-saving measures than most other sport sedans, with items such as Auto Start/Stop, turbocharging, direct injection and a special Eco Pro driving mode combining to provide significant gains in gas mileage. A diesel model, the 535d, offers yet another fuel-saving powertrain option. Otherwise, the 5-Series sedans offer more comfortable, refined cabins than other sport sedans, and the 5-Series Gran Turismo body style is a good pick for those who want a little more cargo flexibility. The M5 performance sedan remains one of the best-handling and best-performing 4-doors on the market at any price. Strengths of this model include supercar-level performance from the M5, refined, luxurious interior, leading-edge tech options, Eco-conscious performance, responsive handling, and active-safety features We look forward to seeing you soon! Please call us for more information.